William Paterson was a distinguished public servant during the early years of the Republic of the United States, serving as governor of New Jersey, a Framer of the U.S. Constitution, a U.S. senator, and associate justice of the U.S. Supreme Court. In recognition of his service to New Jersey, the city of Paterson was named for him. Paterson was born on December 24, 1745, in County Antrim, Ireland. He emigrated with his family to New Jersey in 1747 and graduated from the College of New Jersey (now Princeton University) in 1763. He was admitted to the New Jersey bar in 1768, establishing a law practice in New Bromley, New Jersey. He entered government in 1775, serving in the New Jersey Provincial Congress. He became attorney general of New Jersey in 1776, holding the position for seven years. During this period he briefly served in the New Jersey Senate. He also participated in the New Jersey State Constitutional Convention in 1776. Paterson played a key role in the U.S. Constitutional Convention, which was held in Philadelphia in 1787. As a delegate from New Jersey, Paterson sought to protect his and other small states from demands by larger states that representation be based on population. Paterson offered an alternative to the large-state proposition, or Virginia Plan. His New Jersey Plan went to the other extreme. He proposed that each state have one vote in Congress. Out of this conflict came the compromise that created two houses of Congress, with the House of Representatives based on population and the Senate on equal representation (two votes per state). The compromise also led to the creation of the Supreme Court in Article III of the U.S. Constitution. Paterson, who signed the Constitution, was a strong supporter of the document and campaigned for its adoption in New Jersey. He was elected to the Senate in 1789 and was one of the authors of the Judiciary Act of 1789, which created the federal legal structure of Supreme Court, circuit court, and district court. The act created the office of attorney general and gave the Supreme Court the appellate jurisdiction to review state court decisions that involved the Constitution, federal laws, and treaties. Paterson resigned in 1790 to run for governor of New Jersey. Easily elected, he left the governorship in 1793 when President George Washington appointed him an associate justice of the U.S. Supreme Court. His tenure on the Court revealed him to be a strong supporter of the federal government and an independent judiciary. His role as a Framer lent credibility to his conclusions as to what was the "original intent" of the drafters of the Constitution. As a circuit judge (in that period Supreme Court justices also rode circuit), he conducted the Treason trials of the participants in the Whiskey Rebellion, a revolt in 1794 against the excise tax on whiskey imposed by Secretary of the Treasury Alexander Hamilton. He later presided over the trials of prominent Democratic-Republicans who were charged with Sedition for criticizing President John Adams. Paterson died on September 9, 1806, in Albany, New York. O'Connor, John E. 1979. 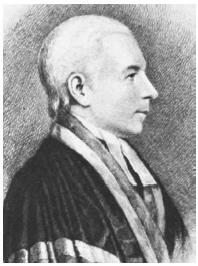 William Paterson, Lawyer and Statesman, 1745–1806. New Brunswick, N.J.: Rutgers Univ. Press. Constitution of the United States; "The New Jersey, or Paterson, Plan" (Appendix, Primary Document). In Paterson, Williams continues the theme of a desirable female subservience through the voice of his character, Dr. If much of the 1940s was taken up with the challenge of finding a viable form for Paterson, Williams still found time to publish two new groundbreaking books of poems with The Cummington Press of Massachusetts.